Paramaribo is a former Dutch colonial town from the 17th and 18th centuries planted on the northern coast of tropical South America. The original and highly characteristic street plan of the historic centre remains intact. Its buildings illustrate the gradual fusion of Dutch architectural influence with traditional local techniques and materials. Paramaribo est une ancienne ville coloniale hollandaise des XVIIe et XVIIIe siècles implantée sur la côte nord tropicale de l'Amérique du Sud. Le centre historique a conservé intact le tracé d'origine, fort caractéristique, de ses rues. Ses édifices illustrent la fusion progressive de l'architecture hollandaise avec les techniques et matériaux locaux. باراماريبو مستعمرة هولندية قديمة ترقى الى القرنين السابع عشر والثامن عشر، وهي تقع على الساحل الشمالي المداري لأميركا الجنوبية. وقد حافظ الوسط التاريخي على التخطيط الأساسي الذي يميّز شوارعه، في حين تجسّد ابنيته الاندماج التدريجي للهندسة الهولندية في التقنيات والمعدات المحلية. Парамарибо – это бывший голландский колониальный город XVII-XVIII вв., основанный на северном побережье тропической Южной Америки. Первоначальный и весьма характерный план улиц исторического центра остался неизменным. Архитектура его зданий демонстрирует то, как голландские влияния постепенно соединялись с традиционными для этого района строительными технологиями и материалами. Situada en la costa septentrional de la Sudamérica tropical, la antigua ciudad colonial holandesa de Paramaribo data de los siglos XVII y XVIII. Su centro histórico ha conservado intacto el trazado peculiar de sus calles, así como edificios ilustrativos de la paulatina fusión del estilo arquitectónico holandés con las técnicas y materiales autóctonos. Paramaribo is a former Dutch colonial town dating from the 17th and 18th centuries planted on the Northeastern coast of tropical South America. Composed of mainly wooden buildings, the plain and symmetrical architectural style illustrating the gradual fusion of Dutch and other European architectural and later North American influences as well as elements from Creole culture, reflects the multi-cultural society of Suriname. The historic inner city is located along the left bank of the Suriname River and is defined by the Sommelsdijkse Kreek to the north and the Viottekreek to the south. Laid out from 1683 on a grid pattern along an axis running north-west from Fort Zeelandia, the main streets follow shell ridges which provided a naturally drained base for building. At the end of the 18th century, Dutch engineering and town planning skills enabled the town to be extended over marshy land to the north. Important elements in the townscape are Fort Zeelandia built in 1667 and the large public park (Garden of Palms) behind it, wide, tree-lined streets and open spaces; the Presidential Palace (1730) built in stone but with a wooden upper floor, the Ministry of Finance (1841) a monumental brick structure with classical portico and clock tower, the Reformed Church (1837) in Neoclassical style, and the Gothic Revival Roman Catholic Cathedral (1885) built in wood. Criterion (ii): Paramaribo is an exceptional example of the gradual fusion of European architecture and construction techniques with indigenous South American materials and crafts to create a new architectural idiom. Criterion (iv): Paramaribo is a unique example of the contact between the European culture of the Netherlands and the indigenous cultures and environment of South America in the years of intensive colonization of this region in the 16th and 17th centuries. At the time of inscription it was recorded that most of the urban fabric of Paramaribo dating form 1680-1800 still survives virtually intact, mainly due to low economic growth in the past three decades. The original urban pattern is still authentic in relation to the historical built environment, because no major infrastructural changes have taken place, no building lines have been altered and no high-rising buildings have been built in the city centre. The timber buildings are vulnerable to fire, and the inner city is vulnerable to lack of enforcement of protective controls as well as neglect due to the socio-economic situation. Since then the integrity of the property has been compromised by insertion of a new flag square, altering the urban pattern around Independence Square and introducing a hard paved surface in place of green landscaping. The property’s integrity is vulnerable to Waterfront development, which while having the potential to contribute positively to the town’s economy, also has the potential to impact severely on the Outstanding Universal Value of the property if not appropriately designed and located. There are 291 listed monuments in Paramaribo and in the past three decades only a few have disappeared in favor of new developments. Many of the monuments exhibit high authenticity because of the use of traditional techniques and materials in repair and rehabilitation works, although some timber buildings have been replaced in concrete. Protection of the about 250 listed monuments of Paramaribo was initially guaranteed under the 1963 Monuments Act. In 2002 this Act was replaced by a new Monuments Bill (S.B. 5 September 2002 No. 72) which provides for the designation of protected historic quarters with controls over interventions and provision for subsidies to owners for conservation works. In 2007 and 2010 two new monuments were added to the monuments list of Paramaribo and in 2011 the list was further enlarged with another 25 official monuments. For the protection of the site a State Resolution regarding the implementation of article 4 section 2 of the Building Code of 1956 was approved by the President of the Republic of Suriname (S.B. 31 October 2011 No. 74). This resolution established an Expert Building Committee (Special Advisory Committee) and designated the historic inner city and adjacent buffer zones. The Expert Building Committee reviews new building plans within the World Heritage Site according to aesthetic criteria for modern architecture. These special building criteria were published in the Gazette (Advertentieblad van de Republiek Suriname, A.R.S. 29 April 2003 no. 34). 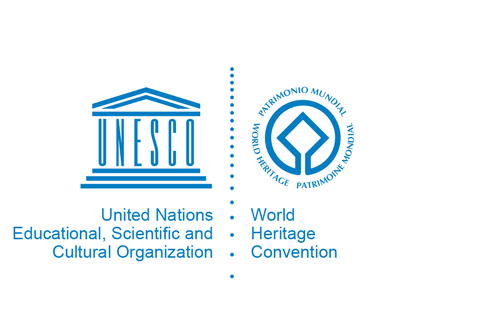 The Paramaribo World Heritage Site Management Plan (PWHSMP) 2011-2015 was officially endorsed by the Council of Ministers on 28 January 2014. However the Management Authority (Surinam Built Heritage Foundation or Stichting Gebouwd Erfgoed Suriname -SGES) formed to implement it has not been properly empowered with adequate staffing, the definition of precise actions, timelines and budgets. The authority of SGES as the Site Manager needs to be reinforced through adequate regulatory and legislative measures and communicated to all governmental levels as well as to all stakeholders and the community. On October 25th 2011 the ‘Stichting Stadsherstel Paramaribo’ was created as a predecessor for the "Suriname Conservation Ltd. (Stadsherstel Suriname N.V. established on 25 May 2013). This foundation purchases dilapidated historical buildings/monuments, restores and re-uses them in order to preserve the historic cityscape. The first property, located at the Julianastraat 56’ was acquired in January 2012 and has been restored and let. Others have since been purchased.